The London Magazine have extended their deadline to 14 Nov. for a short story under 4,000 words. Prizes: £500, £300, £200. Entry fee £10. Website http://www.thelondonmagazine.org. Caledonia Novel Award. The first 20 pages, plus a 200-word synopsis of a novel by an unpublished writer. Prize: £1,000, plus online publication of the winning extract. Entry fee: £20. Deadline 1 Nov. Website: http://www.caledoniannovelaward. Why wait for January to make that resolution to enter more writing competitions? The lovely people at Norwich Writers’ Circle announced the winners of their Olga Sinclair ‘mustard’ themed short story competition on the 20th October at the Anteros Centre in the city of Norwich. There was wine, food and, best of all, readings of the three winning entries. These tremendous stories and the names of their writers should be on the NWC website soon – https://norwichwriters.wordpress.com – so please make sure you catch them when they hit the web. Rare African snails. A Japanese Cluedo fanatic. A yellow-painted nursery tinted with tragedy. But I mustn’t jump the gun and reveal too much, too soon. 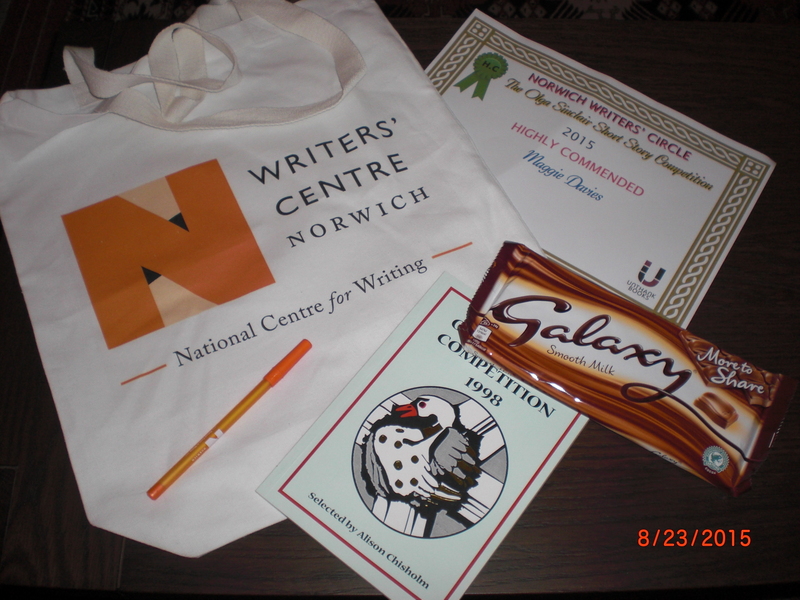 It was a pleasure to be with NWC on the night and although I wasn’t one of the winners I did return home with a certificate for being one of the final ten on the shortlist – together with a handy book bag containing those well-known writers’ essentials: a pen, a poetry book, and a heavy slab of chocolate. We probably all know someone who gets their partner to write a mouth-watering review of their book on Amazon (handy that he’s got a different surname!) to boost their sales. Maybe we’d be tempted to do the same – but hopefully not on an industrial scale. Amazon, the world’s largest online marketplace, has apparently filed papers in the U.S. against more than 1,000 people it claims offered to write glowing reviews on behalf of unscrupulous authors. This includes a network of freelance forgers operating as so-called ‘optimisers’ who produce batches of favourable write-ups to order for a fee. Legal experts say that although the Amazon case will rely on U.S. law, this could signal similar moves in Britain to track down perpetrators. It’s hard enough to get promotion for your work without cheats muddying the water. Our very own Christine, whose column in The Sevenoaks Chronicle causes its residents to splutter over their Thursday breakfast tables – with amusement, indignation, or recognition of some ridiculous aspect of life – is now also published in The Courier of Tunbridge Wells. Radovana I have met before, as in 2013 I had the pleasure of presenting her with the second prize in the British Czech & Slovak Association’s annual writing competition. She won that with Journeys. That story especially appealed as its setting was the prizegiving at a writing competition! It described the repercussions three years later of a British stag weekend in Bratislava. One of ninevoices’ own, Maggie Davies, was given a Special Mention in the comp, for her story The Castle (see The Rejection Diaries below). A tale well worthy of its commendation, I can confirm. The 2016 To Hull and Back competition is already open. Prizes are £1,000, £150 and £75, and the prizewinning and shortlisted entries will be published in an anthology. The glory doesn’t end there, for the cover of the anthology will include a photo of the winner’s face, depicted riding a flaming motorcycle and holding “a quill of wrath”, and their copy will be fixed to the handlebars of a Harley Davidson and ridden from Bristol To Hull and Back. Let’s hope it doesn’t rain. The British Czech & Slovak Association’s 2015 competition has closed; the judges’ votes have been counted and verified, and the results will be announced at the BCSA’s Annual Dinner in central London on 27 November 2015. (Some tickets are still available, for both members and non-members – see http://www.bcsa.co.uk/whatsnew.html#dinner for info). The results will also appear here. 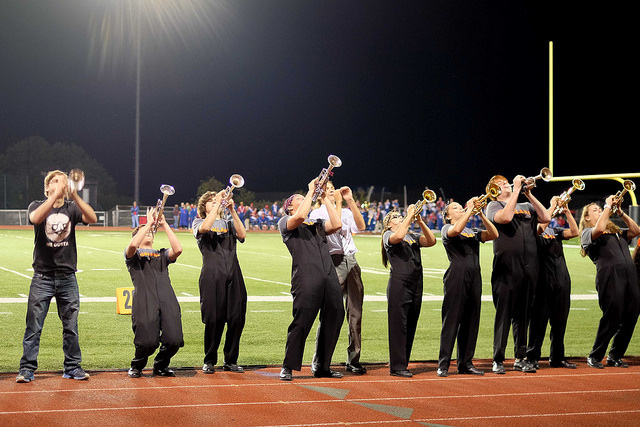 The 2016 BCSA competition will be launched in February next year. The themes are likely to be the same as this year’s: either (a) a link or links between Britain and the Czech or Slovak Republics (or their predecessor states), at any point in history or (b) society in transition in those Republics since the Velvet Revolution in 1989. Entry will be free, the closing date will be 30 June 2016, and the word limit 2,000. With migration so topical just now, in 2015 writers were encouraged to consider this as a subject for their entries. Watch this space for any similar suggestion in 2016. To express interest in 2016 you can e-mail me at prize@bcsa.co.uk. So, repeated congrats to Radovana and Maggie. And here’s to 2016 for the rest of us! Thank you, Marlon James – for sharing with us that your first novel was turned down SEVENTY-EIGHT times. Along with our thick skins we clearly need gigabytes of persistence. Did Shakespeare get rejections? Must have done, mustn’t he? Anyway, I’ve had two rebuffs in the last days: a magazine declining one of my stories and a local charitable 400-word competition which has been scooped by someone else. Am I downhearted? You betcha! HOWEVER, this is proof positive that I’ve been busy writing and submitting, which is a huge accomplishment in itself. I’ve been much more active this year than last and have had a few invaluable fragments of encouragement – a long-listing and a short-listing. Also, although the magazine didn’t want my story, it was recently commended in a competition. The excellence of the novels shortlisted for the Goldsmiths prize goes without saying. I am telling myself that I will try to read at least one of them. That might be enough. Or enough without sandwiching them with other kinds of novels. For the prize’s remit is ‘to reward fiction that breaks the mould or opens up new possibilities for the novel form’. Again this is an excellent thing. It’s good to encourage writers to explore, to experiment with art forms. Didn’t Jane Austen create a new kind of novel? But I read through the accompanying blurbs for the shortlisted novels with a sinking heart. They all sound rather hard work. I am not proud of these feelings. The pursuit of enjoyment should not be the primary reason for reading a novel, we should be looking to have our minds and hearts expanded, to be taken on a journey, to learn something about the world we live in. But there’s the dread that there will only be the unfamiliar or confusing territory, and enjoyment will be in short supply or missing altogether. This is when I find myself reaching with a guilty hand for more ‘sunlit’ novels which tell a story in straightforward language. These may not win prestigious prizes but they don’t leave the reader feeling exhausted. Ninevoices were delighted to discover that our Sarah was recently shortlisted in Writing Magazine’s crime story competition with her dark tale of murder on Tunbridge Wells Common: Oh, Keep the Dog Far Hence. Well done, Sarah! It’s a tremendous story and must have only missed out by a whisker. The thing about being shortlisted, of course, is that you are now free to enter it somewhere else. You’re at the kitchen table, drooping over yet another rejected story. In her basket, Ruby, the cocker spaniel, looks expectant, head twitching and nose up. Then the door bell rings. She must have sensed a visitor. Anyway, she’s at the door ahead of you. The visitor sweeps past you into the kitchen while you remain, paralysed, on the doormat. It is Hilary bloody Mantel, isn’t it? Are you going to scream? Faint? And how does this world-renowned woman know your dog? You’re in a trance as you boil the kettle. This wonderful writer is sitting at your kitchen table, biting savagely at the end of her pencil while she works through your story. How did this come about? You’ve nearly lost control of your bodily functions. The power of speech is certainly beyond you. She hands back the empty mug and heads for the door, Ruby at her heels. Then she’s gone, in a flash. You stare down the street. No sign of her. There’s not even a car or taxi in sight. Ruby runs round the side of the house towards the garden through a shaft of sunlight, her flapping ears magnified by a trick of the light into giant golden fairy wings.